Awards Concert: Tuesday, March 14, 2017 7 p.m. Tickets by donation. Songfest 2017 Registration is Open! 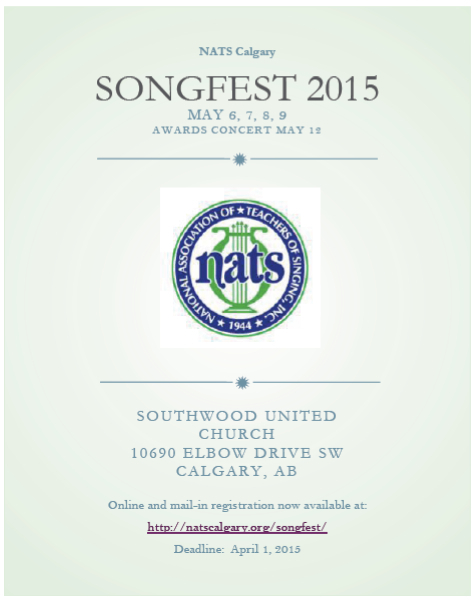 Please refer to our “Songfest” page for registration information. This one-day course open to all musicians and teachers consists of two three-hour sessions (with short breaks between) separated by a one-hour lunch break. Maximum enrollment is 24 participants. There is plenty of time given to embody the materials through practical exercises and explorations, examination of skeletal models and visual aids. Hour Four: The Movement and Structures of Breathing—breathing, articulation, etc. Come join your teachers for the Annual Teacher Recital on January 16, 2016 at Southwood United Church at 7pm. 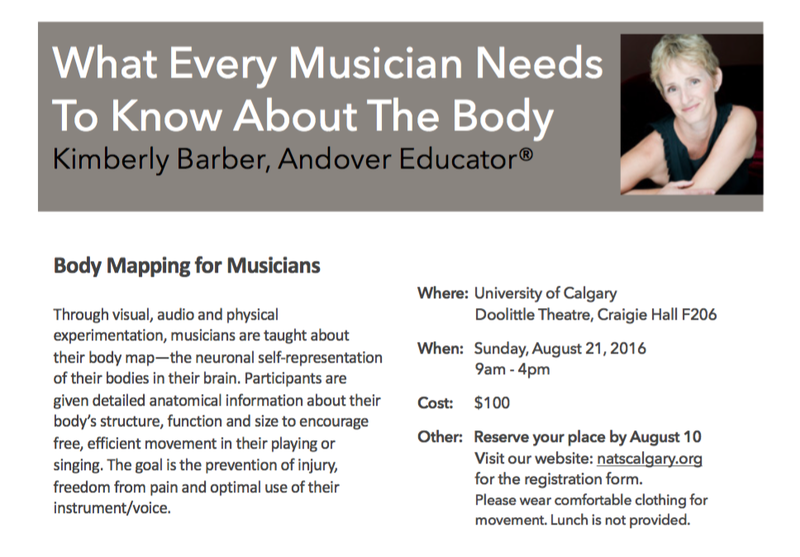 The Canadian Voice Care Foundation will host a microphone workshop on November 14, 2015. Please see the attached poster for more details. NATS Calgary will meet on September 20 at 2 p.m. at the home of Katherine Ardo. The meeting will be followed by a potluck. 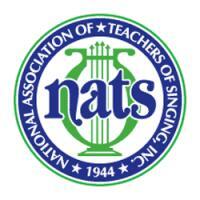 We hope to see many members and anyone interested in joining NATS!